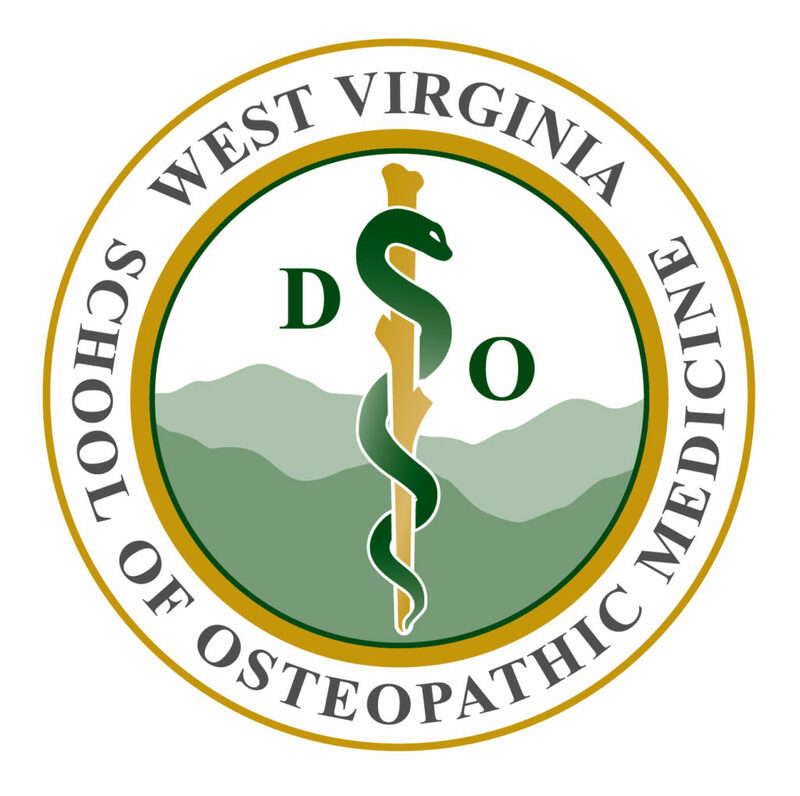 The mission of the West Virginia School of Osteopathic Medicine (WVSOM) is to educate students from diverse backgrounds as lifelong learners in osteopathic medicine and complementary health related programs; to support and develop graduate medical education training; to advance scientific knowledge through academic, clinical and basic science research; and to promote patient-centered, evidence based medicine. WVSOM is dedicated to serve, first and foremost, the state of West Virginia and the health care needs of its residents, emphasizing primary care in rural areas. WVSOM has the feel of a small school with a national reputation. WVSOM’s excellence has earned the school national recognition for 20 consecutive years as a leader in primary care, family medicine and rural medicine in the highly regarded U.S. News & World Report’s annual “Best Graduate Schools” rankings. WVSOM is the only independent medical school in the nation, which means all of the students are focused on one thing; to become physicians. 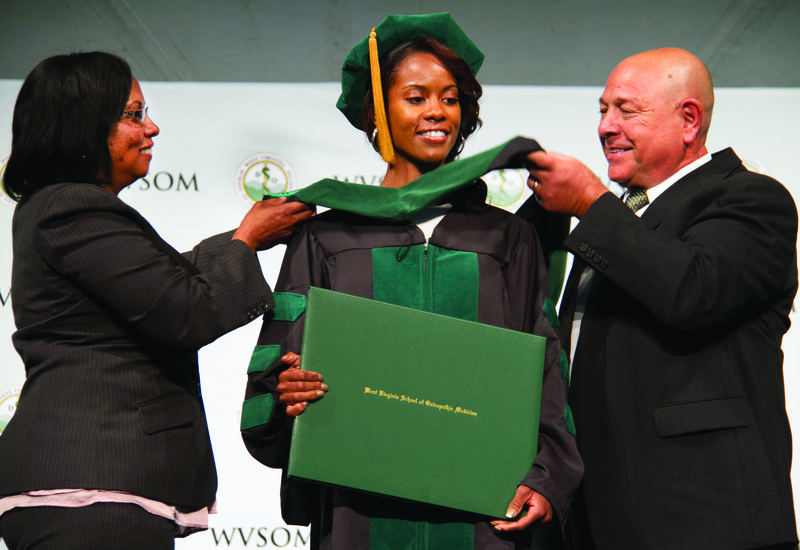 WVSOM provides a cutting-edge, 21st century, clinically integrated approach to medical education. 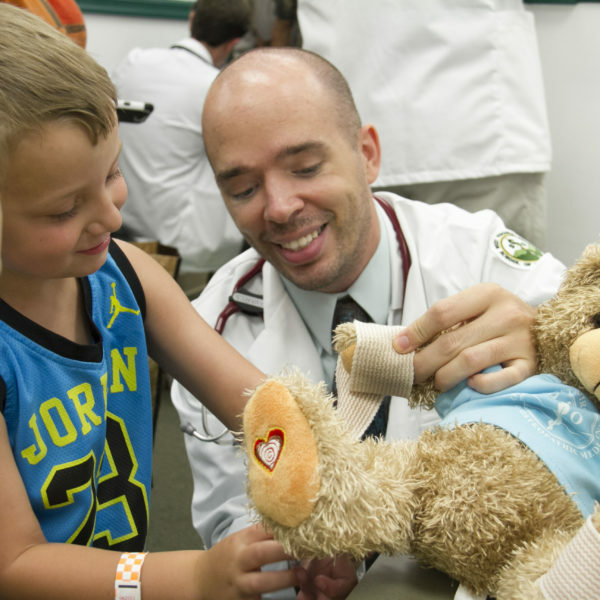 Students learn the practice of patient-centered medicine and develop lifelong learning and leadership skills in a caring family atmosphere. Graduates are well prepared to succeed in any field of medicine they choose to pursue. WVSOM is number 1 in providing primary care physicians for West Virginia, (W.Va. HEPC Health Sciences Report Card). WVSOM is number 1 in the nation graduating primary care physicians who practice in rural Appalachia, (Academic Medicine). WVSOM is number 1 in the nation among all medical schools graduating physicians who practice in rural areas, (Academic Medicine). WVSOM is situated in the rural setting of Lewisburg, WV. The independent campus in an inviting and historic community provides a relaxing atmosphere where students are encouraged to explore creative, athletic, and recreational opportunities. It enables students to pursue a first-class medical education in a place full of outdoor beauty. Students also enjoy cultural outings with music performances in Carnegie Hall and live drama and dance at two live theaters. The town is often filled with music, art festivals, and events. The world famous Greenbrier Resort and Spa is minutes away. WVSOM is accredited by the Higher Learning Commission (HLC) and American Osteopathic Association’s Commission on Osteopathic College Accreditation (AOA COCA). Located in historic Lewisburg, WVSOM’s 68-acre campus combines green spaces and tree-shaded areas with new and recently renovated buildings. WVSOM’s state-of-the-art Clinical Evaluation Center includes a clinic setting with 24 examination rooms for use with standardized patients, a hospital setting with a four-bed emergency room suite, a birthing suite and general simulation rooms to house 25 human patient simulators, and the John Manchin II DO Conference Hall. The Center for Rural Medicine and Technology is a cutting-edge instructional facility housing two modern 200-seat lecture halls, a commons area, and office space. Other WVSOM facilities include: the Fredric W. Smith Science Building; the Robert C. Byrd Clinic, an on-campus primary care clinic that provides varied clinical training opportunities; the Admissions Center; and the Founders’ Activity Center, a recreation and fitness facility for students, faculty, staff and their families. The Roland P. Sharp Alumni and Conference Center, used by on-campus and off-campus groups for programs, meetings and events. A 55,000-square-foot Student Center includes student recreation area, SGA offices, open and quiet student study space, the campus store, a food service area, and a 1,000-seat meeting hall. The Student Center also includes a clock tower. Students are encouraged to visit Lewisburg and to review the listings for available rentals. 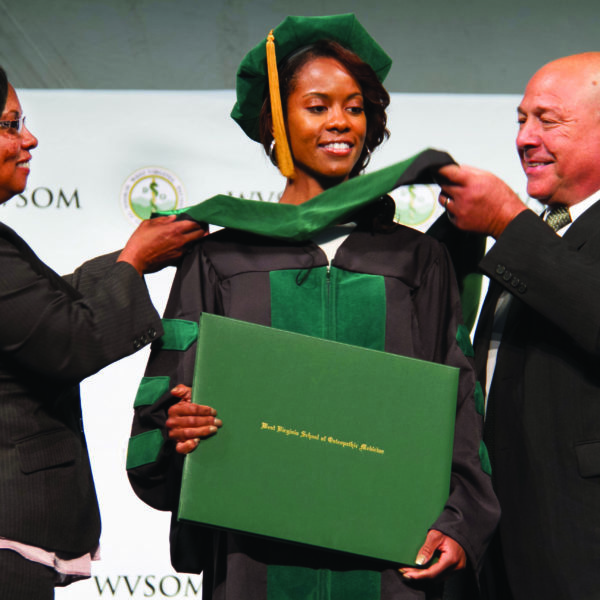 The WVSOM Patient Presentation curriculum is carefully constructed to thoroughly prepare graduates for practice in any setting. 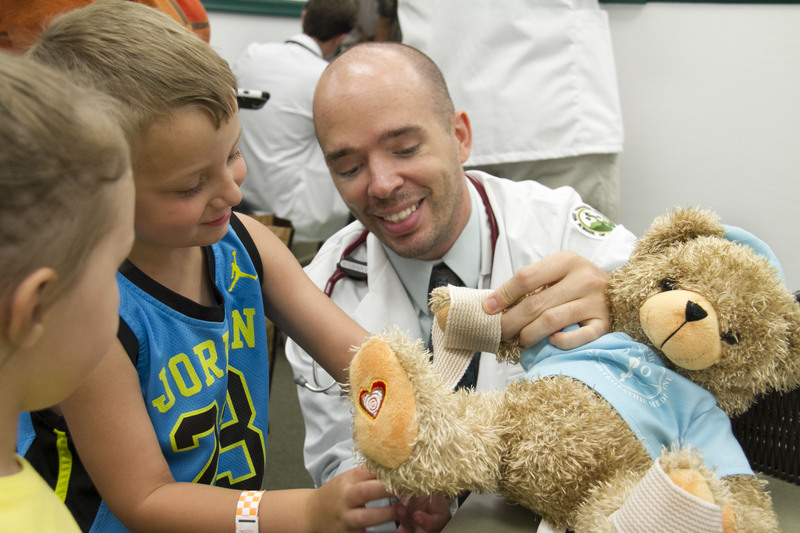 However, the WVSOM educational program is tailored to meet the unique needs of patients in rural, medically underserved areas. Faculty members are particularly committed to teaching in a student-friendly atmosphere. Specialty clinics and health screenings allow students to develop clinical skills and bedside manner. 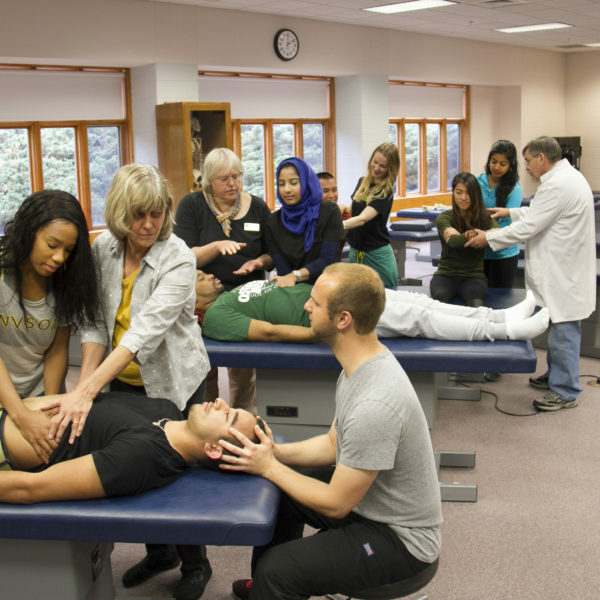 The common thread of osteopathic principles and holistic medicine ties together all elements of WVSOM’s curriculum. 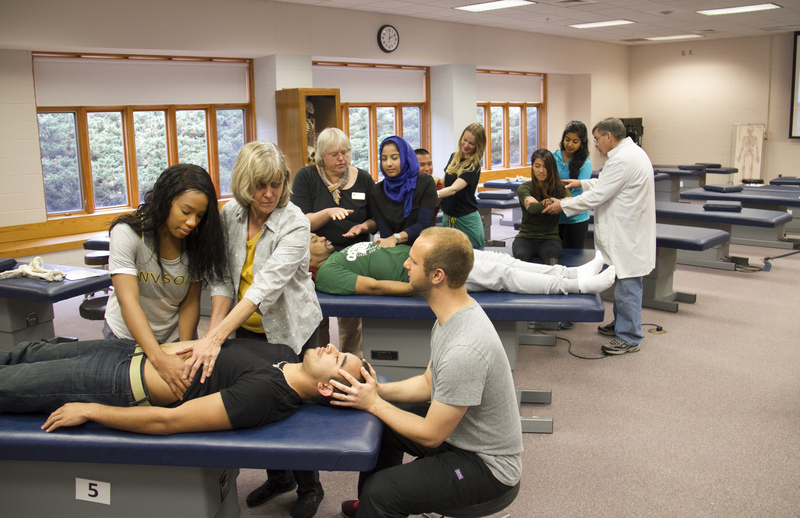 WVSOM offers one integrated curricular track for its osteopathic medical students. WVSOM’s Center for International Medicine and Cultural Concern (CIMCC) works with individual students and small groups to travel to remote, under-served communities in Central and Latin America, Southern and Western Africa and India. Traditional European placements are also available. First- and second-year students may participate in spring break and summer time-off trips; for third- and fourth- year students, four-to-eight-week clinical rotations are offered. WVSOM-CIMCC provides students opportunities to learn experientially about both practical and specialized medicine on a global scale in both clinical and research settings. WVSOM’s CIMCC offers one of the most diverse international medical studies programs among osteopathic medical schools. During the third and fourth years, students participate in unique rural experiences which provide an opportunity to learn about local industries and daily life in the mountain state and how these factors affect healthy and treatment within those communities. Programs for Clinical Sciences, Anatomy, and Osteopathic Medical Education Departments. Student organizations are active in many civic and health-related activities in the community. Our admissions process not only considers the applicant’s academic ability but also incorporates individual interviews to better determine an applicant’s interpersonal skills. Interest in rural, primary care is considered. For best consideration, applicants should apply early for rolling admission. For late applicants, submission of their AACOMAS application should be completed at least four weeks prior to the deadline. The Committee on Admissions of the West Virginia School of Osteopathic Medicine recommends acceptance of applicants on the basis of motivation for osteopathic medicine, motivation to serve in rural communities in the primary care fields, health-related experiences, and scholastic achievement. Supplemental application and fee. Letters of recommendation from an osteopathic physician and from a premedical advisor, a premedical advisory committee or an approved basic science faculty member. WVSOM “Statement of Past or Pending Professional Disciplinary” form. Verification form for classification as a West Virginia resident student for West Virginia residents only. WVSOM “Health and Technical Standards for Admission and Graduation” form. Applicants who pass initial screening. Please visit https://www.wvsom.edu/Admissions/application-requirements for specifics on minimum requirements. Supplemental application fee: No supplemental fee. If offered an interview, an interview fee ($40 in-state; $80 out-of-state) is due. A 30-minute, open file personal interview includes two faculty members, and the director of admissions or admissions program administrator.